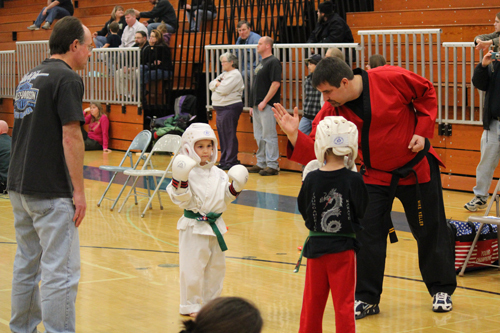 Young Americans Schools of Self-Defense - Listed are the different requirements needed for belt advancement. Young Americans Schools of Self-Defense instructors all hold black belt rank, and have been teaching students for many years. 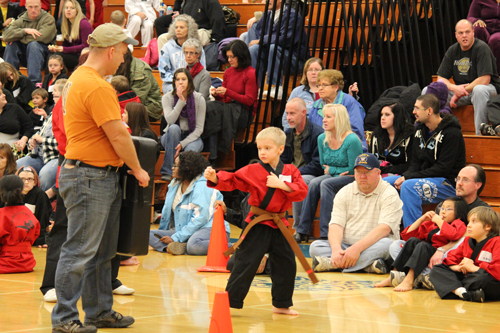 Personal attention and instruction is given to each child in the class, training your child in the skills and techniques they need to help defend themselves in threatening situations. For more information, please see our program information sheet. Listed below are the different requirements needed for belt advancement. 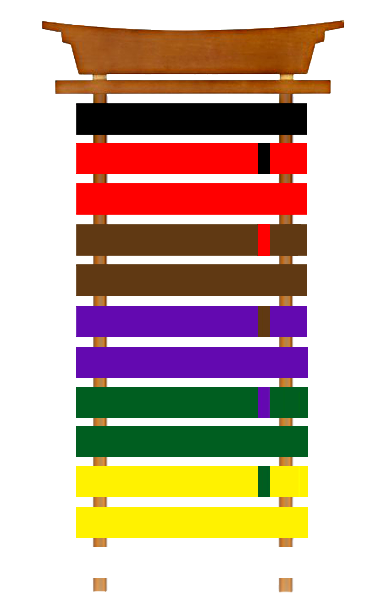 Click on the belt color to see a detailed list of requirements. Adobe® Reader® Required. This young man is about to perform a kick at the tournament. These students are preparing to spar at the tournament. Sparing helps them to effectively use karate/self-defense techniques in a controlled, mock attack situation.